You know what's happening to Baghdad, capital of Iraq right now. ISIS Sunni terrorists are approaching like a hoard of locusts, killing everyone in their path brutally. CNN just showed them forcing a father and his two sons to dig their own graves, and the father pleaded for their lives, but they were all shot while in or near their graves. They do a lot of beheading. 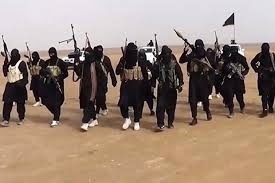 The aim of ISIS is to create an Islamic state across Sunni areas of Iraq and in Syria and they are doing it as brutally as possible. It's causing soldiers to run and leave their weapons, weapons that were given to them by the USA. If we go back far enough, the land was also known in the bible as the land of Shinar or of the Kasdim (Chaldees). It's the cradle of humanity and the scene of the Tower of Babel. Abraham was born in Ur of the Chaldeans. To the prophets, Babylon was the symbol of insolent pagan tyranny. It was home to Nebuchadnezzar II (604-561 BCE) who attacked the Jewish kingdom of Judah. We read in the Torah, "By.the waters, Of Babylon. We lay down and wept, And wept, For thee Zion. We remember, Thee ..." Zion was another name for Jerusalem. They had been captured and taken to Babylon for slave labor. Babylon became Iraq which became independent in 1932 when they then turned on the Jews and persecuted them. From 1932 to 1934 there were 5 governments. In 1939 there were 80,000 Jews living in Baghdad. In 1941 when Nazi thought permeated the Middle East , there were violent acts against Jews in Baghdad. A pogrom against Jews was from the Muslims there. This was called the Farhud, a riot, and they killed about 180 Jews and is attributed to the hateful attitude Arabs kept towards Jews from then on. This was during the revolt of Rashid Ali. The population was led by Haj Amin al-Husseini, the Sharif of Jerusalem, called the Grand Mufti. About 1/3 of Baghdad at that time was populated by Jews. There are probably Muslims who carry genes of their Jewish ancestors today. Iraq soldiers attacked Israel in 1948 a few minutes after Israel announced its statehood. Iraqis lost but refused to signed an armistice agreement with Israel. So 123,500 Jews left Iraq then for Israel in Operation Ezra and Nehemiah. Their property was confiscated by Iraq. For those that didn't leave, they were given severe restrictions, especially after the Six Day War of 1967 when they had attacked Israel again with Syria, Egypt and Jordan. Their treatment was so bad that it aroused international protests. By 1991, the Jewish population was 150 living in Baghdad where one synagogue still continued to operate. In 1981 Israel bombed the Osirak nuclear reactor the French had built for Iraq. It is the world's first air strike against a nuclear plant. The reactor was 18 miles south of Baghdad. "The 70-megawatt uranium-powered reactor was near completion but had not been stocked with nuclear fuel so there was no danger of a leak, according to sources in the French atomic industry." The atomic bombs from this "would be of the Hiroshima size. Thus a mortal danger to the people of Israel progressively arose." It acted then because it believed the reactor would be completed shortly - either at the beginning of July or the beginning of September 1981." Jews had been living in Babylon way before Islam ever came into existence in 637. The Babylonians had attacked Jerusalem in 597 BCE and had carted off all the best Jewish men and again in 586 BCE. They took them to their home and made them slaves, so sold them to neighbors for a high price. Speaking of neighbors, Aleppo, Lebanon had an ancient Jewish community also. Jews had been praying there in their Great Synagogue since the 400s CE. Jews had been in that city since 300 BCE and were the oldest native sect in the city. They were there first. If a car leaves Jerusalem in the morning they will arrive in Aleppo by mid-afternoon today. Baghdad is only a day's drive from Jerusalem, but the borders will cause it to take a little longer. Iraq used to be called Mesopotamia. When the Muslims conquered the city in 637 and converted everyone, the Jews were happy, hoping they would be delivered from the cruelty of the Sassanid persecution. Jews had come there from Kufa who had been expelled from Saudi Arabia a few years before. It was a famous Jewish center where the Exilarch, head of the Jewish community and the Gaon were thought of as the most knowledgeable Jews in the land and who came to them for matters that needed to be decided upon. Benjamin of Tudela in 1170 said that 40,000 Jews were living in Baghdad when he visited there. Many were distinguished scholars. Among the Jews were poets, physicians and talmudists. Under Mongol rule from 1258, Jews fared well. Some even reached high administrative positions. A massacre happened in 1291. Then Tamerland captured Babylon in 1300 and the Jews fled. The Ottoman Empire counted Baghdad as a conquest in 1534 and held it until 1917 when they lost WWI to the Western Allies. Today Iraq is the 11th largest Muslim majority country with 31,234,000 population before fighting. 97% are Muslims, who are both 27% Shi'a and 70% Sunni. The state is listed as secular. As a state, they have 254,418 active troops. "Mainstream Sunnism has been said to be "about" Sharia, sacred law. In contrast, the Shia also follow Islamic law with great "vigilance", but their belief is added with Ijtihad "Research" in the light of teachings of the Quran." So this was the cradle of civilization. It has been working on becoming the cemetery of civilization at this rate. The leader of ISIS, a PhD, is Abu Bakr Al Baghdadi. He even served four years in a U.S. prison camp for insurgents, at Bucca in southern Iraq -- a time in which he almost certainly developed a network of contacts and honed his ideology. He was released in 2009 and went to work.